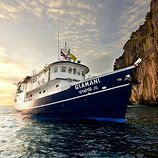 Welcome onboard Scuba Adventure, one of the original, classic liveaboard cruising the warm waters of the Andaman Sea, visiting the wonderful sites of Koh Bon, Koh Tacha and Richelieu Rock. 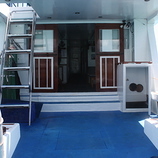 Welcome onboard Scuba Adventure, one of the original, classic liveaboard cruising the warm waters of the Andaman Sea, visiting the wonderful sites in the Phuket area. 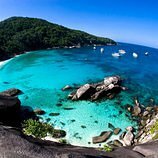 Scuba dive the famous Similan Islands: Koh Bon, Koh Tachai and Richelieu Rock which together comprise one of the worlds most famous dive sites. Expect to encounter large Whale sharks to the smallest macro critters like nudibranches and sea horses. Make 22 scuba dives at some of the best dives sites on offer in the Similan Islands National Park & the Surin Islands including: Richelieu Rock, Koh Bon famous for the Manta Rays at West Ridge as well as the spectacular Koh Ha, Hin Muang & Hin Daeng and Phi Phi islands. Hin Daeng & Hin Muang diving sites are located about 65km south east from Phuket Island and are famous for Manta Ray and Whale Sharks sightings. The cruise starts here and works back up towards Phuket stopping at Koh Ha, Phi Phi, Shark Point and Koh Doc Mai. Tuesday morning departure from Chalong with a dive on the way at Shark Point then we head for Phi Phi Island for 3 more dives / snorkel sessions. Overnight in Ton Sai Bay with visit at Ton Sai Village by night. 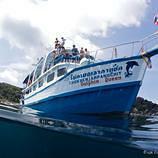 Hin Daeng and Hin Muang near Koh Phi Phi are often mentioned as the best cuba dive sites in Thailand. Hin Daeng has the steepest and deepest coral pinacle in the country teeming with beautiful marine life. 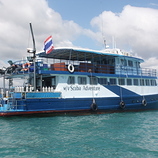 The Southern Island Liveaboard cruise brings you to the Hin Daeng & Hin Muang diving sites which are located about 65km south east from Phuket Island. 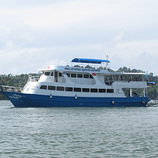 The cruise also includes: Koh Ha, Phi Phi, Shark Point and Koh Doc Mai. There are 11 day dives, 3 night dives, each dive group is 4 divers to 1 PADI dive guide, this means a nice relaxed dive in a small group. We will dive all the best major dive sites the Similan & Surin Marine National Park Islands and Richelieu Rock have to offer. 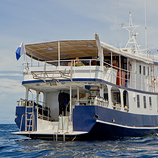 Scuba dive the Similan Islands and dive from the liveaboard vessel m/v Similan Explorer. 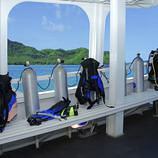 This scuba dive package includes 5 days + 5 nights and 18 scheduled guided scuba dives. This includes 4 night dives. Scuba Dive the Similan Islands onboard of the liveaboard MV DiveRACE. 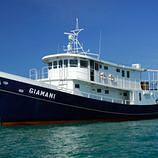 Explore the Similan Islands, Richelieu Rock, Koh Bon and Koh Taichai in 4 days in a lower standard cabin + 14 dives. 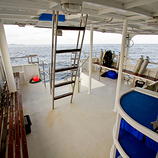 Scuba Dive the Similan Islands onboard of the liveaboard MV DiveRACE. 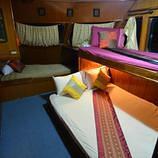 Explore the Similan Islands, Richelieu Rock, Koh Bon and Koh Taichai in 4 days in a Upper Standard Cabin + 14 dives.